Marcus Aurelius was a Roman Emperor, the last of the Five Good Emperors, and one of the most important Stoic philosophers, along with the slave Epictetus. Marcus Aurelius wrote the Meditations while in a military campaign; it was a series of notes written for no one but himself in his quest for self-improvement. Stoicism is the attitude allowing one to free oneself from the unnecessary suffering that arises from anxiety about events that are beyond our control; therefore, it can be of tremendous importance in one's life. Socrates is an enigmatic figure, known chiefly through the accounts of others like Plato and Aristophanes. He was one of the most brilliant intellects ever, and devised what would later be called the Socratic method, which is a way of leading one's interlocutor to see his errors and contradictions through clever questioning before leading him to the truth. In ancient Athens, Socrates was widely known as a "gadfly", that is, an annoying insect buzzing at people's ears, because he kept questioning prejudices and contradictions; he was eventually tried and executed for "corrupting the minds of the youth". Gautama Buddha is also known as Siddharta Gautama, or simply the Buddha, which means "Awakened" or "Enlightened". Born a prince, he chose a path of ascetism only to realize that it was as profound an illusion as self-indulgence. He achieved Enlightenment after 49 days of meditation; his awakening led him to discover the cause of suffering and the ways to eliminate it. These discoveries founded Buddhism, and his "Four Noble Truths" still form the heart of its teachings. Nietzsche is a major figure in Western philosophy. His work is radical, sometimes violent, often ironic; it fascinates anyone bold enough to delve into it, exerted a profound influence on modern intellectual history, and covers a wide range of subjects. 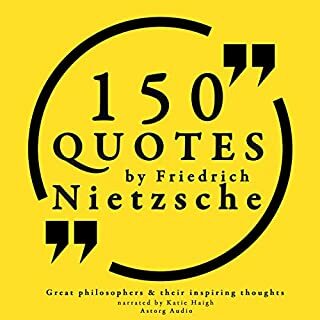 Nietzsche's writings border on the poetic; his aphorisms are particularly well-known for conveying all the radicality of his thinking in a intense but light, sometimes amusing manner. Voltaire was a French writer famous for his wit and irony. They were his tools for launching vitriolic attacks on the established Catholic church, the adversaries of freedom of religion and expression, and on separation of church and state. His prolific writing took almost every possible literary form: plays, novels, essays, but also poems, historical and scientific works. The philosophy of Confucius was so powerful that it dominated intellectual life in ancient China for centuries. It even came to be considered a religion, and there are still temples where Confucius is worshipped as the God of Culture. His writings were transmitted as aphorisms, each one of them one concentrated teaching about philosophy, ethics, or society. Sun Tzu was a revered Chinese general, strategist, and philosopher. He is credited with one of the most influent military treatises ever written, the "Art of War". Countless leaders have drawn inspiration from this work, from Mao Zedong to General Douglas MacArthur. It is so powerful and straightforward that it is still influencing many domains other than military thinking, like business tactics, legal strategy, entrepreneurship, and beyond. Alfred North Whitehead once noted: "the safest general characterization of the European philosophical tradition is that it consists of a series of footnotes to Plato." Plato is indeed considered the most pivotal figure in the development of philosophy, along with his teacher, Socrates, and his student, Aristotle. But his writings are often light, fresh and funny; it was Plato who invented the dialogue in philosophy, which makes a point very easy to follow and the occasion of various scenic arrangements. Montaigne might well be one of the most sympathetic writers ever known. He is known for popularizing the essay as a literary genre; his style merges casual anecdotes and autobiography with deep intellectual insights. His "Essays" are among the most influential ever written; one can recognize Montaigne's direct influence on great literary figures all over the world, from René Descartes to Nietzsche, Isaac Asimov, and possibly William Shakespeare. The teachings of Epictetus show that philosophy is not made of abstractions or intellectual games; it is a way of life, and it has a direct impact of how much suffering we allow in our experience or not. 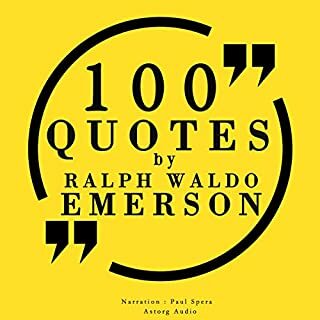 We have selected for you 100 of his most inspiring quotes, for you to benefit from the teachings of Stoicism and alleviate your life by knowing the proper attitudes.